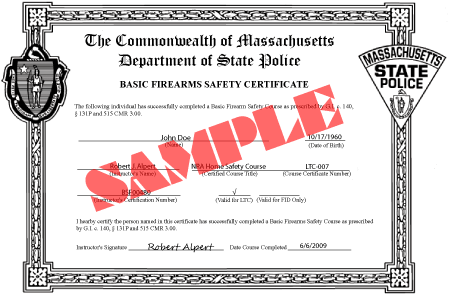 Get Your Massachusetts License to Carry Certification Quickly! Most Of Our Classes Sell Out - Book Early! Pay $95 Now or Pay Later! Book Now! We also have a location in Woburn . Looking to carry out of state? Our Utah Non-Resident LTC Gun Safety Course gives you a license to carry recognized in over 30 states. Find out how it works! Instructor will display the different parts of the handgun, variations of ammunition, and proper storage. We will teach proper loading and unloading of live handguns - this part could save your life! In depth coverage of transport, storage, and legally allowable use of a firearm. Particular attention will be paid to safe handling of guns and ammunition. Check out a demo of our simulator! What do you mean I get to fire a real gun? We have an actual police simulator, the same one many departments use in their own training. It's a great way learn to fundamentals of shooting using a real firearm without any fear of being injured. Using HD video the simulator presents targets for you to test your shooting accuracy - it's like being in a real range but there's no live ammunition involved. Everything is done through computerized laser targeting. Yes, it's really fun and more importantly you'll be able to test your shooting accuracy in a 100% safe environment. Do you want a license to carry a firearm in Massachusetts? Then you should book this course now in Woburn or Quincy !